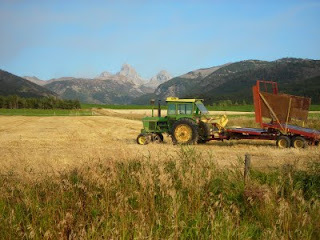 It was still winter in June here in Driggs, Idaho, so thank goodness it's still summer in September. We're savoring these perfect early-Fall days, and squeezing in as many final summer-season adventures as possible. I was fatigued from LOTOJA for about a week, but have thankfully started getting my mojo back the past few days. 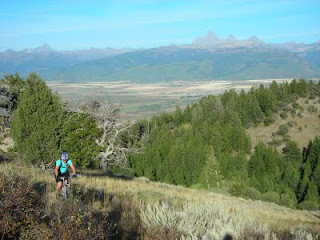 Joanne & I kicked off the comeback with a mid-week evening ride in the Big Holes, loving the full-on Teton views and bluebird conditions. 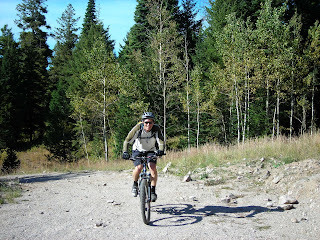 Next was a sweet ride up Powerline & Millcreek trail with my man Dave T. It's a signature Teton Valley trail, but was the first time I had ridden it this year. Another stellar view day, plus Dave is always fun & happy. Thanks, my friend. Friday date-night was a hike up Darby Canyon to the wind caves. Fall colors are just starting to kick-in, and it was absolutely beautiful. 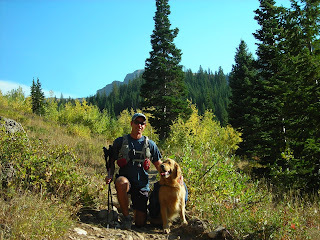 Bridger loved it, and practiced carrying his own pack. A black bear near the mouth of the wind caves added even more excitement to the outing. Saturday was the annual Fall Classic golf day with my basketball buddies from Jackson. I love these guys like brothers. 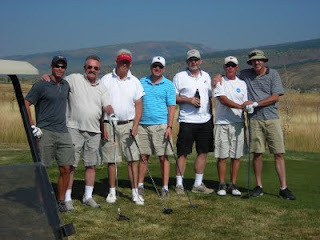 We played a fun 18-holes at Teton Reserve in Victor, then enjoyed a nice potluck dinner at Jere & Deb's. Good times. 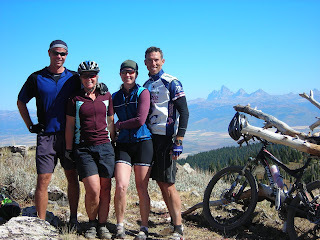 Sunday was icing on the cake: an absolutely epic mountain bike ride with Joanne, Brooke & Craig to the top of Garns Mountain. We accessed it via South Horseshoe Canyon to Elk Flats, then on up to Garns. Not easy, but the view payoffs are well worth it. Good company, lots of laughs, sweet sweat, and memorable day. 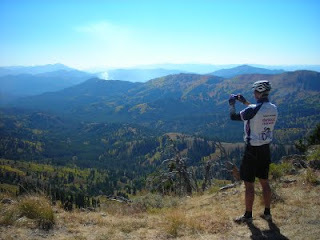 I managed a nice photo of Craig taking in the Big Hole range. A controlled fire on West Pine Creek is in the distance, and fall colors are taking hold everywhere. I could sit and look at that view for hours. 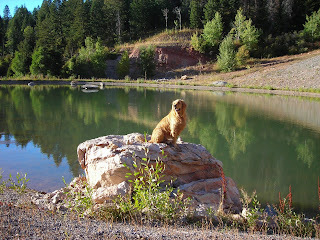 Bridger has been loving the outings as well, especially when water is involved. A snowstorm is forecast for this week...so here's to Fall.